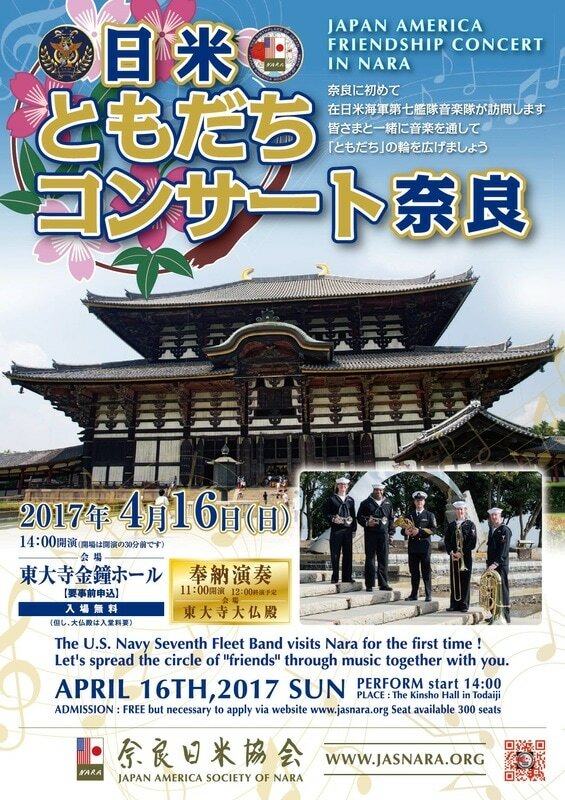 The U.S Seventh Fleet Band perform more than 100 musics in Nara during their visit in Nara! Special Thanks to the performance of The U.S. 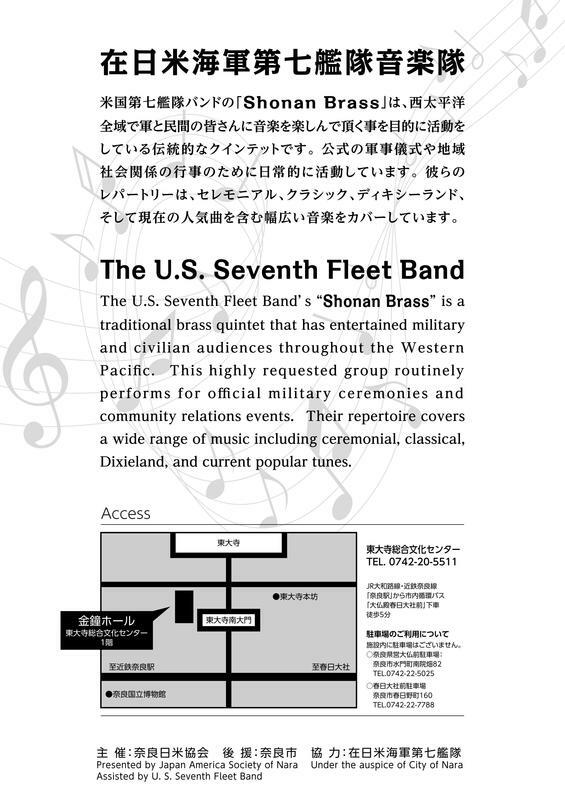 Seventh Fleet Band!